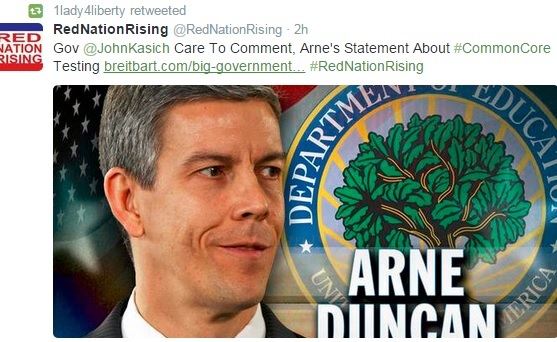 What every US citizen said they always wanted, CCSS aligned college, career ready students and teachers… NOT! 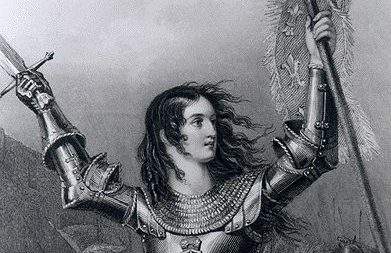 Warriors Against all things connected to Common Core, this weekend’s news will give you an update on CCR, ‘college and career readiness’. We know there are ‘CCR Standards’. What else can we learn? 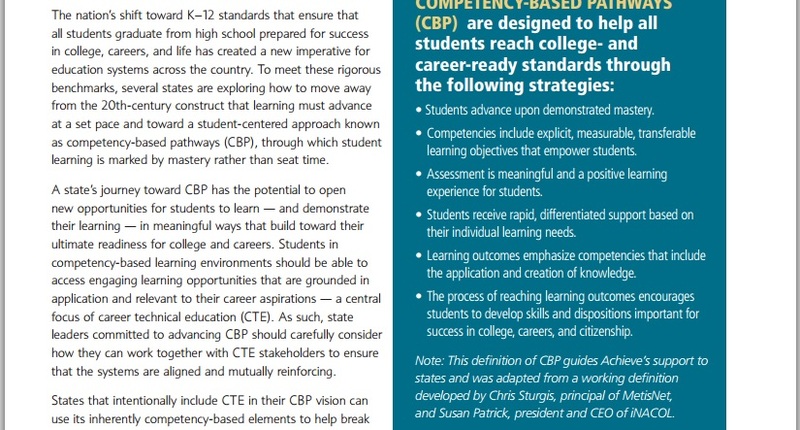 What defines ‘college, career readiness’? 2) From the U.S. Dept. 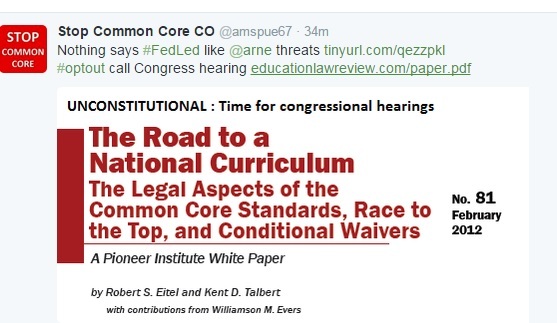 of Ed, the push to re-authorize the old Elementary and Secondary Education Act via HR5(Student Success Act) or S1177(Every Child Achieves Act) will most assuredly give us CCR. 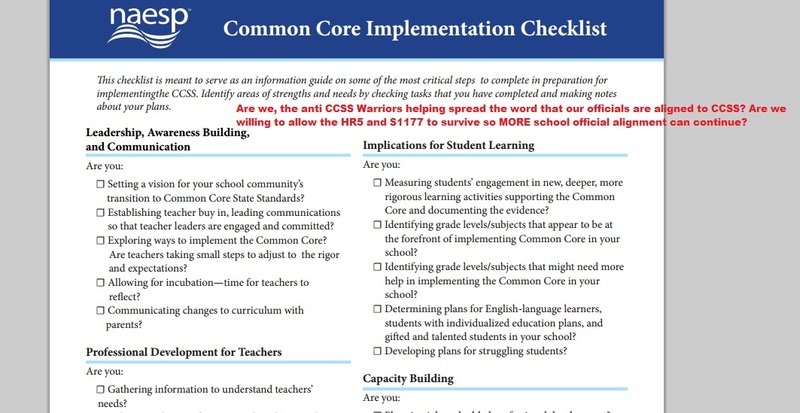 These are helpful, but is there even more we can learn about the CCR Standards?! 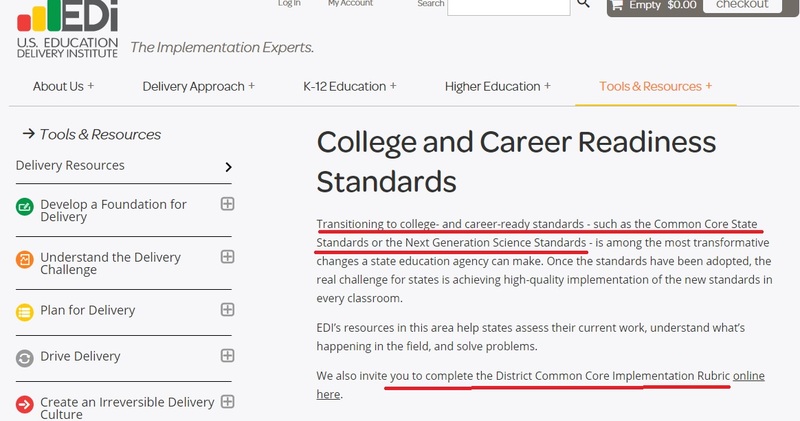 Included in this non-profit institute are the P-20 data mining, the usual main financial backers of Common Core, the SBAC and PARCC assessments, and more. (see: https://www.deliveryinstitute.org/our-partners) Sitting on the Board of Directors is Sir Michael Barber of Pearson Publishing. He is also the founder of the Ed Delivery Institute (see the origins, https://www.deliveryinstitute.org/origins-delivery)!! Knowing who has funded CCSS, is a member of this Institute, AND is guiding states toward THEIR agenda, is it any wonder our states seem to be deaf to our citizens?! Watch this one from Ed Delivery and you will hear that STEM jobs being filled is the goal. This Weekend News is an update to the continued Common Core/Career Tech Education/Aligned Apprentices efforts our post secondary students are facing. What can we do to fight this? How can we inform others? Read on, my fighters!! Dated September 9th, 2015, this news release gives us several key pieces to the continued alignment of our students. 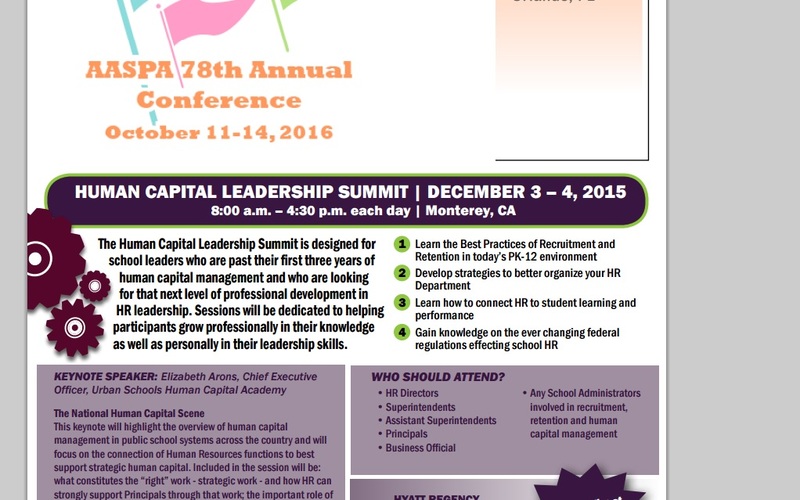 We know this is part of the ‘cradle to career’ agenda so prevalent in the CCSS Initiative. What is stunning, is that the White House continues to promote these efforts. To summarize the rest of the news release, it is basically affirming that the White House is over-stepping its authority again, blaming Congress for not being supportive enough when it comes to WIOA (Workforce Innovation and Opportunity Act). It is also revealing the massive amounts of money, the number of citizens to be involved in MORE career pathways for life. The grants are broken down by regions across the USA. In the Northeast, MA, NY, CT, RI, and VT were the ‘winners’. The bulk of the grants appear to be workforce education, outcome based education, or economic based. Some of the programs include The United Way, various department of labor current activities, and more. In the South, SC, GA, AR, TX, and FL ‘won’ money. Money awarded in these states appears to be ’21st Century Initiative’, ‘compressed education’, economic, and workforce based. Mid-Atlantic ‘winners’ are WV, MD, DC, VA, and PA. Their money will be devoted to all kinds of apprenticeships, including a grant to the International Brotherhood of Teamsters! The Mid-West states getting grants are IL, MI, MN, and WI. Illinois received the bulk of the grants. Among the apprenticeships, workforce, education alignment, you’ll find STEM and MAP+ (MI). In the West, HI, CA, OR, NM, WA, NV, and AK will get the big bucks. It appears the bulk of the money will be for either community wide efforts (including community colleges). This website gives us only two choices ‘yes’ and ‘maybe’. This website is so full of agenda driven motives it isn’t funny. For example in the ‘toolkit’, you’ll find ‘willing to work for it’ defined. Part of the definition? Good grades, credits that will follow you, and a commitment to serve your town. As an example of the ‘service’ TN is featured. “Required community service” there when you get ‘free community college’. 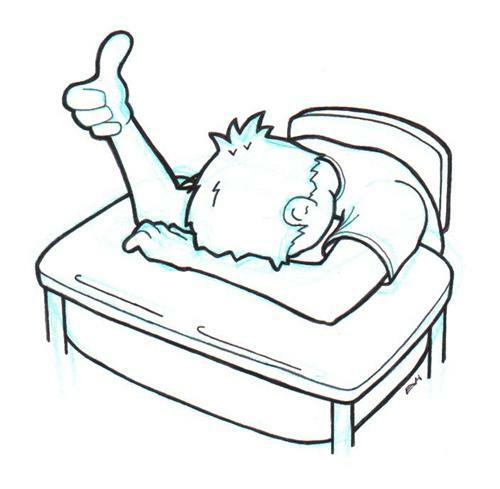 You, my fellow anti CCSS Warriors, should be very familiar with Fridays on my blog. You know that of all the days of the week, it’s the one where I take on the Facts/Fallacies and all that’s in between them concerning the Common Core Machine. One this first Friday in June, we’ll look at those Facts and Fallacies worth continuing to follow. 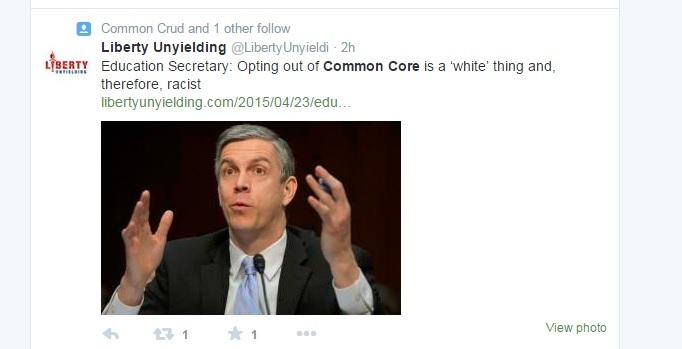 One of the biggest fallacies about anything related to Common Core is that it’s ‘state led’. Boy, did I find a bevy of proof to blow that out of the water. On the 23rd of January, I revealed “Primary Source’s” global connections and how it’s Common Core devoted. Then, you’ll find out how the Global Education Conference, Harvard University, and many others are spreading global citizenship dribble. Did you know the U.S. Dept. of Education has a global strategy for education? Did you know that the CCSSO (Council of Chief State School Officers) has a global competency task force? It’s all in this very important article reveals. Looking ahead to what’s left of our year, 2015, we know the Fib-o-Meter finds. As long as there’s a CCSS Machine, there’s fodder for the Meter. If you’d like to find more of my Fib-o-Meter articles (from August 2014 to present), there’s a search bar on the upper right hand side near the header of the blog page. You can type in “Friday”, or “Fib-o-Meter”. You can also you a topical word or phrase for searching. I welcome your use of any of my articles previously published. What I find, I share because if we don’t share information, how can we win this battle?! 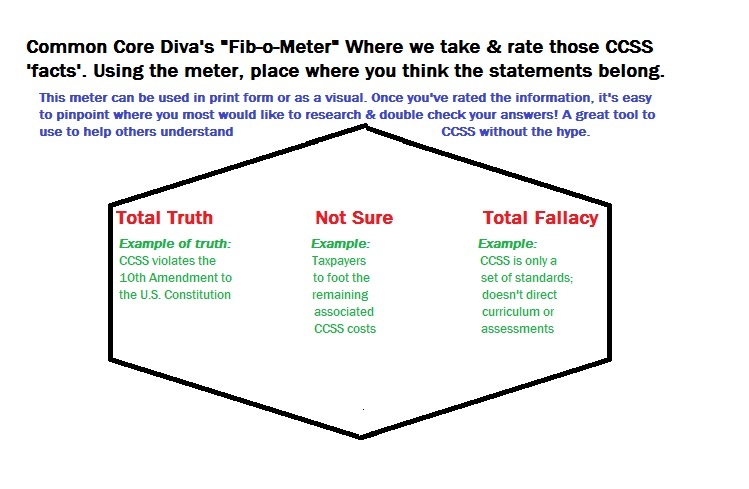 Today’s Fib-o-Meter will take a peek at how CCSS is being portrayed on social media. The way this will work is you’ll see the screen shot first, then the Fib-o-Meter’s revelation. Be sure to access the links used to back up each revelation. Here’s a plug from the feds in D.C. about HR5 (Student Success Act). Here’s the link to the Pioneer paper. I’m with them..where are the hearings? FreedomWorks has a brand new short video explaining how the feds have taken over education. This is useful if you have someone who is new to the battle. Have you spotted a CCSS “Total Truth” or “Total Fallacy” in your area? I’d love to know what it is. Please consider posting it in the comments. 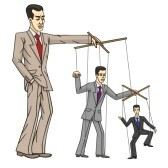 Remember, it could be about any aspect of the CCSS Machine. From nursery school to career, P3s (public, private partnerships), school boards, and chambers of commerce. Legislation would be a great Fib-o-Meter topic, too! Let me know what’s out there. Together, we can expose it and hold those in charge accountable.